During 26 years in the Real Estate industry, I have made a point of attending training both in New Zealand and overseas. I know the difference a good agent can make to the price my Vendors achieve. For me Real Estate is not about banging up a sign and waiting at an Open Home. It's about being proactive and focusing on the BEST price from the BEST buyers. Thirty two years ago I married my best friend Gráinne and we have two adult children - Richard and Anna. 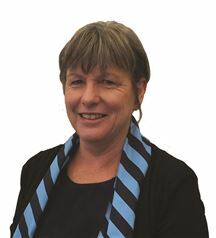 I started my Real Estate career in Waimate, after working in the Grain & Seed industry. I have owned and operated two successful businesses and now concentrate on what I love to do - list and sell property. I feel fortunate to be able to say that I was born and raised in North Otago and have lived here all my life. 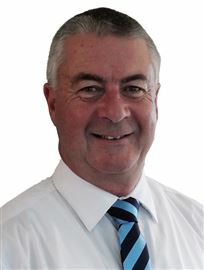 I am married to Robin and we have two adult daughters who completed their primary and secondary schooling in North Otago before both furthering their study at Otago University, while I entered the Real Estate industry after moving closer to Oamaru. Oamaru, the Waitaki Valley, and surrounding areas offer so many opportunities to newcomers and locals alike and is fast becoming a “must stop off venue” on the tourist route. Real Estate whether in a large city or rural town like Oamaru requires excellence, honesty and hard work. With these principles alongside my enthusiasm, compassion and local knowledge I look forward to helping you achieve your Real Estate goals. Natalie is in the early stages of her real estate career and she is already becoming known as an enthusiastic and competent member of the team. Her warm and friendly nature means she has a natural affinity with everyone she meets. Experienced in people-focused customer service, Natalie offers clients a guiding hand every step of the way. Communication is her number one priority and she listens to her client’s needs to achieve the best possible results. 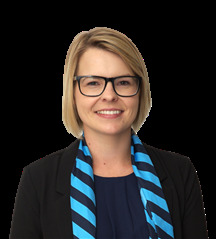 Combining empathy, humour and the ability to forward think, she has a strong passion and commitment to building great relationships with people. She is also known for her ability to remember names and faces, her attention to detail and willingness to go that extra mile. I have enjoyed a fabulous career in hairdressing and the fashion scene in Dunedin and overseas and the enjoyment of raising my now teenage family, who love Oamaru. After buying here a few years ago I couldn’t wait to finally enter the world of Real Estate that I feel has been a natural step for me. Personally having bought and sold property, I know whats involved and what I can do to enhance your experience in the process when buying or selling your home. Go Ahead - "You Deserve It"